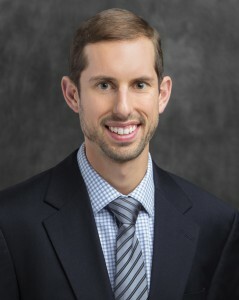 Albrecht Engineering (www.albrechtengineering.com), a WBE/MBE/DBE consulting firm providing engineering services today announced the appointment of Jeremy Gworek, PE, as a Project Manager. Mr. Gworek will be responsible for managing all of the water and wastewater projects at Albrecht Engineering. Mr. Gworek will report directly to Albrecht Engineering’s President, Rachel Albrecht. “Jeremy has proved his ability to successfully complete the design of large scale water and wastewater projects. His leadership skills and technical knowledge will strengthen Albrecht Engineering’s position as a growing engineering firm. Jeremy’s experience and skills are well suited to lead Albrecht Engineering’s development efforts,” said Rachel Albrecht, president of Albrecht Engineering. Mr. Gworek is a structural engineer with over seven years of experience in the design of water and wastewater structures. His projects include: DC Water Clean Rivers Project Division D, Cabin Branch Wastewater Pumping Station, and upgrades to wastewater treatment plants including the Eastern Correctional Institute, Conococheague, and Fritz Island. He earned his Bachelor of Science and Master of Science in Civil Engineering from the University at Buffalo in 2007 and 2009, respectively. Founded in 2008, Albrecht Engineering is a WBE/MBE/DBE certified consulting firm in Baltimore City, Maryland, Virginia, and the District of Columbia providing engineering design, analysis, construction management, and geographic information systems (GIS) services. Albrecht Engineering offers high quality deliverables on time and on budget. More information Albrecht Engineering is available at www.albrechtengineering.com.